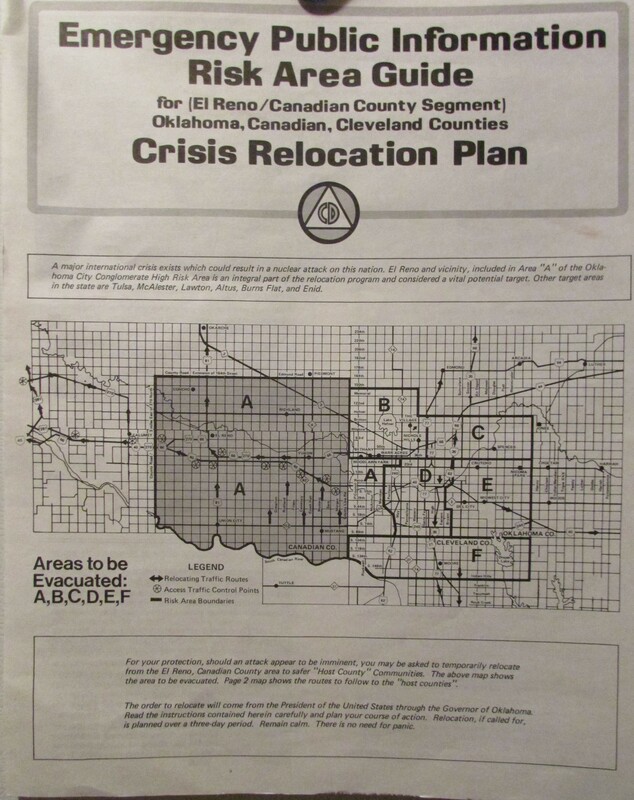 This is the Canadian County, Oklahoma Crisis Relocation Plan. This is from around 1985. It mentions all the designated areas for evacuees from Canadian County. It also mentions other vital targets in Oklahoma.